To celebrate the launch of our brand new Charity PR Insights page we are running a series of posts featuring some of our favourite charity campaign ideas of all time. With so many charities and worthy causes out there the big challenge for any marketer in the sector is “how can you make your campaign stand out?” While there is no simple answer many charities have made their mark in a number of creative ways. In this post our focus is animal charities. From celebrity endorsed PR campaigns to local marketing initiatives – campaigners and fundraisers in this area have been hugely successful raising awareness and increasing support in a number of creative ways. 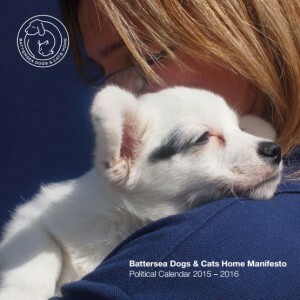 With the 2015 general election looming Battersea Dogs & Cats Home designed their own Manifesto, which was sent to MPs and Prospective Parliamentary Candidates in every constituency of the UK. The manifesto itself was designed as an informative political wall calendar featuring Battersea’s canine and feline friends. It’s specific the aim is to influence MPs in the next Parliament by highlighting key welfare issues. Developing a campaign around a major national news story is always a good tactic for generating media coverage. What we liked in particular about this idea is it incorporates the charities key messages and is an extremely creative way of directly reaching out to politicians. 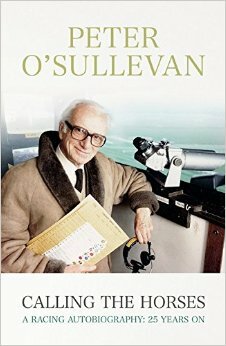 Peter O’Sullevan announced the proceedings of the sales from his autobiography – A Racing Autobiography: 25 Years – would go to Blue Cross and six other charities that care for the welfare of horses, ponies, donkeys and mules. All PR professionals know that there are few more effective ways of generating high-level media coverage than getting a celebrity to support your cause or back your campaign. For O’Sullevan to donate both his time and money to support a cause he is passionate about is not only an extremely compelling story, but a strong endorsement for Blue Cross and the six other charities working to support needy horses. In the age of ‘content marketing’ where brands are falling over themselves to develop creative content to engage audiences it’s humbling to think that Cat Protection have been doing it for decades – since 1931 to be precise! The Cat magazine is full of news, views and features and has been informing and entertaining cat lovers all over the UK for years. With subscription money of the magazine going directly to Cat Protection not only does the publication generate revenue for the charity, but it acts as a vehicle to engage and enhance relationships with supporters. 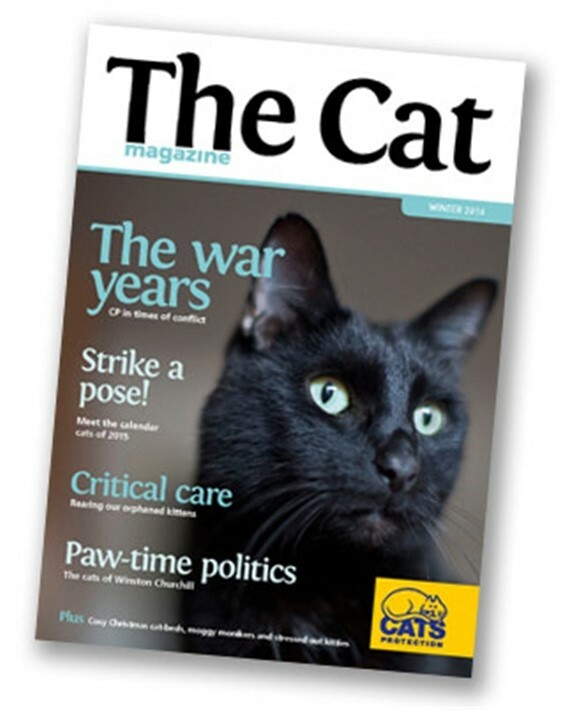 The Cat Magazine is an example of one of the best supporter engagement tools in charity marketing. Getting married soon? Forget giving your guests wrapped chocolates or mini liquors – you can now support a charity like The Dogs Trust by buying specially designed wedding favours. 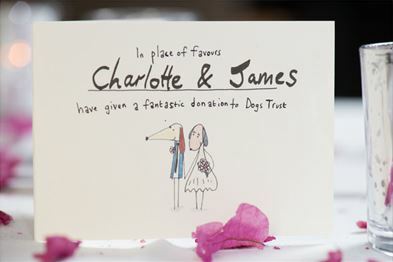 From lapel pins and exclusively designed doggy bride and groom cards – your guests will know that by attending your big day they’ve also aided in the provision of bedding, toys, medical treatment and behaviour training for many dogs. Fundraising isn’t easy so this is a great, creative and thoughtful way to raise money and awareness for your cause. This idea certainly has the feel good factor. Online video content is one of the web’s most powerful engagement tools – yet surprisingly relatively few charities create truly engaging and useful video content. Guide Dogs for The Blind, however, are extremely strong on this front. Their YouTube channel has had around 828k views and it’s full of interesting vlogs, behind the scenes videos and entertaining virals. Great video content covering a range of subjects and important issues. Entertaining, informative and genuinely useful. The PDSA exists to care for the pets of people in need. They provide veterinary services to their sick and injured animals and promote responsible pet ownership. 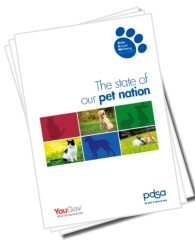 Since 2011 they have published an annual PDSA Animal Wellbeing Report that aims to provide a unique and comprehensive insight into animal wellbeing in the UK. It is the biggest survey of it’s kind and since it was launched in 2011 PDSA (in conjunction with YouGov) have surveyed over 21,000 pet owners. Aside from being an extremely valuable piece of research, by producing new annual reports the PDSA are able to position themselves firmly at the heart of the debate, reinforcing their commitment to change and improving the lives of animals. In 2015 The Retired Greyhound Trust is celebrating its 40th birthday. To mark the occasion they have a load of fun activities planned so that everyone who is a greyhound fan can take part in our celebration. Linking charity events to anniversaries or birthdays can provide a strong ‘feel good’ hook and the Retired Greyhound Trust look like they will be entering their 40s with a bang. 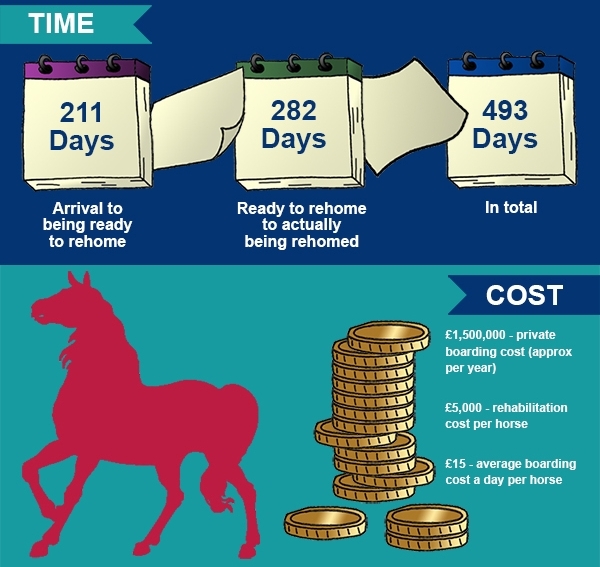 The RCPCA Homes for Horses campaign highlights some of the heartbreaking conditions suffered by horses around the UK. According to their figures there are 4,500 horses identified as being at risk in England and Wales and in 2014 over 75 thousand horses were reported as neglected. The campaign aims to help horses in a number of ways from finding dedicated and experienced horse handlers willing to foster a horse to asking for donations – including equipment for horses, ponies and donkeys. Another important campaign with some great video content and compelling calls to action. We also loved their use of an infographic to convey some of the more hard hitting stats. A hundred years ago there were 100,000 tigers in the wild. Today there are as few as 3,200. Their goal is to build political, financial and public support to double the number of wild tigers by 2022, the next Year of the Tiger. The save the Tiger appeal has everything going for it from strong celebrity endorsement, engaging video content and a great website. The wording of the campaign and the ‘call to action’ is also particularly strong, setting out a clear date and objective to aim towards. SPANA focuses on helping working animals throughout the world. Millions of people depend on animals for their livlihoods, yet many lack access to professional veterinary care. To combat this SPANA funds a vital network of veterinary centres and mobile clinics throughout the world that provide free care for working animals. They also run education programmes that reach tens of thousands of children each year teaching respect and compassion for animals. To encourage donations this year they are running their biggest ever spring raffle. Finding creative ways to raise funds for important causes isn’t easy – this is a great fun competition that also offers supporters a real incentive to buy a ticket with a £3000 first prize on offer. The Donkey Sanctuary was founded in 1969 by Dr Elisabeth Svendsen, MBE. She dedicated her life to championing donkeys, and it is through her devotion that the Sanctuary grew to be the international charity it is today. To transform the quality of life for donkeys, mules and people worldwide through greater understanding, collaboration and support, and by promoting lasting, mutually life-enhancing relationships. Local engagement should not be over looked as a key marketing tactic – even by nationally focused charities. The Donkey Sanctuary have strong connections with communities throughout the country and have a great events section on their site. Upcoming highlights include Ivebridge I Love Donkey Seessions, Donkey Grooming in Sidmouth and Easter Basket Making in Devon. Their mission is realised through our groundbreaking science, our active conservation projects in more than 50 countries and our two Zoos, ZSL London Zoo and ZSL Whipsnade Zoo. 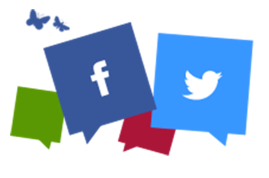 First class engaging social media content. From competitions to win free tickets to London Zoo to behind the scenes glimpses of how to build a Madagascan forest in the heart of London it’s no surprise they have over 12k followers. Through their channels they are also able to promote important campaigns such as Lions400 aimed at securing the future of the majestic Asiatic Lion.